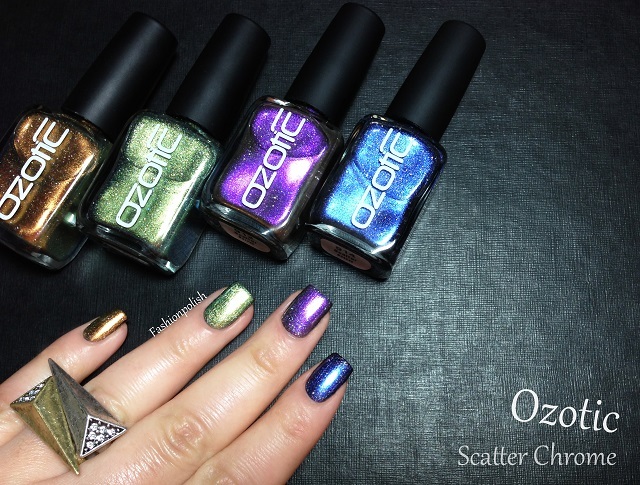 Today I have a not-so-new collection to share with you LOL : the Ozotic Scatter Chromes. Released last Fall, I only got 915 back then (link) but I totally fell in love all over again today! How could I forget how incredibly gorgeous 915 is? The Scatter Chrome collection is a set of 4 metallic duochromey shimmers packed with scattered holographic particles : 910, 912, 914 & 915. 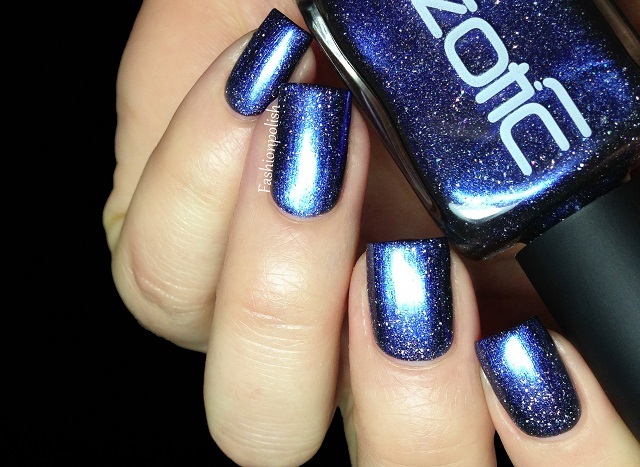 Formula was just what you would expect from Ozotic : flawless! As mentioned, I only used one coat over black in all of the swatches above and it was enough for an easy, streak-free, complete coverage. I also really love the finish, metallics and duochromes were everywhere last year but non of them even begins to compare to the Scatter Chromes, the holo really does set them apart! 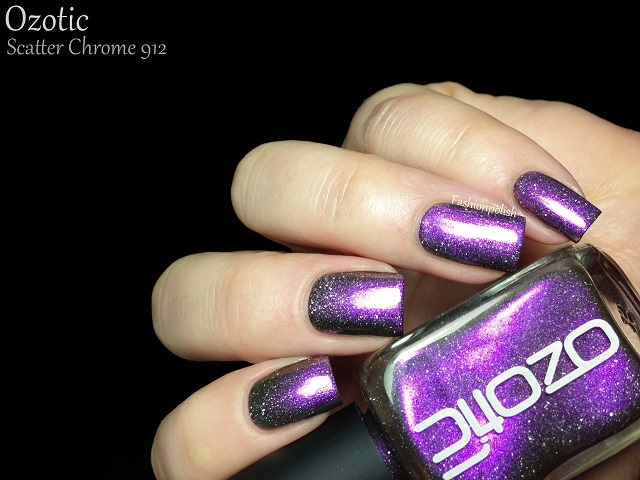 The Ozotic Scatter Chrome collection retails for AU$12 each and can be purchased directly from piCture pOlish.com.au or through their international network. And don't forget that the gold one 910 is limited edition, when it's gone, it's gone for good! 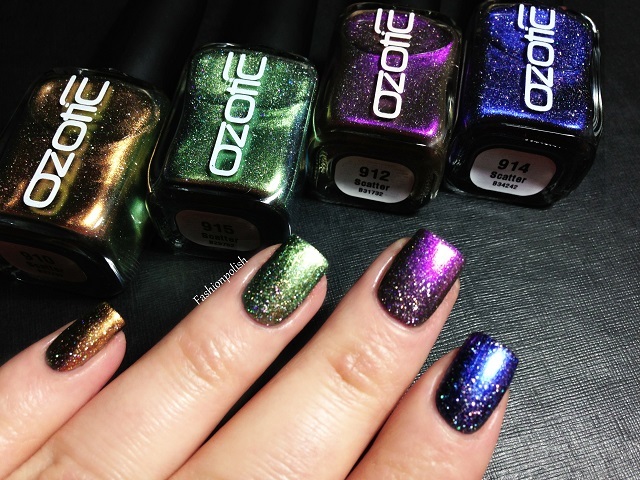 Ozotic polishes are soooo gorgeous!!! Now I really need one of these! Wonderful pictures! These colors looks great. Beautiful polishes and lovely nails, love the photo of your nails in different colours. Gorgeous swatches! 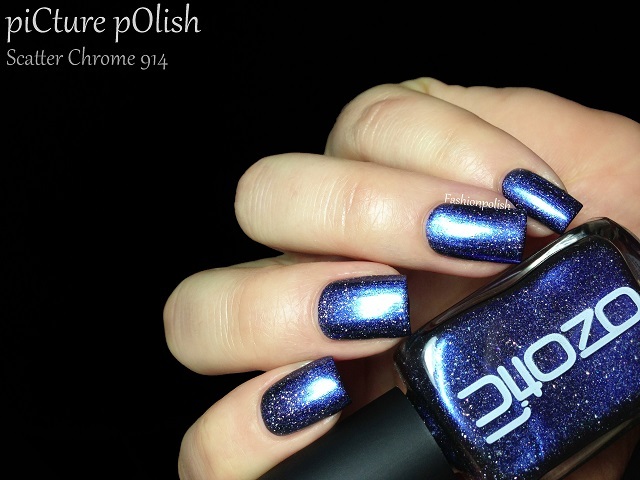 I love that you only need one coat to get that amazing effect. The blue is my favourite! wow I love 914! it looks like a starry night! and what a pretty ring!! OMG OMG they are so awesome! So amazing! Love them! Love these so much. Love the blue! Always impeccable swatches!! Oh my gosh they look like space! Love them. Those are some cool colours. Just ... Simply... Gorgeous! I don't know which one of them I like (looove ooops) the most! These are great, especially the blue and the purple! These are pretty, I still dont have any Ozotic, but need to get this green!